Larry Chernoff began his career as a film editor in New York City and has since helped to found and lead many post production companies around Los Angeles, including FilmCore, Encore and RIOT. He went on to become President of 4MC, later Ascent Media Group Creative Services, including its Los Angeles, New York and London operations. In 2017, the HPA honored him with its Lifetime Achievement Award. Larry brought this history and expertise to MTI Film, first as a Board Member in 2003 and then as CEO since 2005. Larry's vision and experience has helped keep MTI Film's flagship products, DRS™ NOVA & CORTEX on the cutting edge of post-production technology and has been the driving force behind MTI Film's fully file-based workflow and the new Cortex family of products for mobile dailies. Dr. Kevin Manbeck, CTO, joined MTI in 1992. He holds a Ph.D. and a Sc.M. in Applied Mathematics from Brown University, as well as a Bachelor of Arts in Mathematics from Grinnell College. At MTI, Dr. Manbeck has played a leading role in designing and developing the company's machine vision and film image processing technologies and applications. Prior to joining the Company, Dr. Manbeck served for two years as a Visiting Assistant Professor of Applied Mathematics at Brown University. Dr. Manbeck has authored numerous academic works on applied mathematics for publication including Mathematical Modeling, Proceedings of Computers in Cardiology, IEEE Computer Society, Journal of Computational and Graphical Statistics, IEEE Transactions on Medical Imaging, The Journal of Urology, Markov Random Fields, Theory and Application, Chellappa and Jain, and Academic Press. As Executive Producer, Barbara brings a wealth of post production experience to her role in leading MTI Film's production department. As Associate Producer on many episodic shows she learned the business from the ground up. This experience combined with her stint as Director of Visual Effects and then Managing Director at Encore Hollywood gives Barbara a unique set of skills to lead her group in servicing MTI's clients at the highest level of excellence. Completely accessible, Barbara is ready to help with any project. So give her a call! As Director of Operations, Barry brings a great deal to the MTI success equation having been a tape operator, tape operations supervisor, and Operations Manager. That direct, hands on experience is what gives Barry the ability to step into virtually any situation at MTI and be the problem solver that is expected of a Director of Operations. But Barry delivers more. He has trained scores of young people to understand the proper disciplines of delivering quality work that is of the highest technical standard. And, in the ever changing world of post production delivery requirements and workflows, Barry has been instrumental in maintaining order in the chaos that can ensue. Professionalism and technical proficiency with a smile is the order of the day with Barry. Producer Antoinette Perez brings years of experience with big budget motion pictures to MTI Film. Her passion for Post Production and solid producing experience give her the strong and steady hand needed to steer a project to success. Antoinette’s dedication to client satisfaction is just one more hallmark of the excellence in service she delivers each and every time. Having begun his career at MTI in 2013, Producer Paul Knechtges has grown and developed alongside the company. Starting with us in the role of Coordinator he had a hand in almost every project at the facility, giving him the unique opportunity to explore and understand a wide variety of post production workflows. As Producer, he has managed some of our largest projects to date and has taken an active role in helping to build a facility that is able to assess and respond quickly to a diverse set of client needs. SVP of Business Development Jim Hannafin joins MTI as a veteran of the industry having been a CFO at Technicolor, sales executive at Fotokem and Ascent Media. Most recently, Hannafin worked as Head of Global Business Development for Reliance Mediaworks' portfolio of restoration, VFX, 3D and file based services. He is a current member of the American Society of Cinematographers, Association of Cinema Editors, the International 3D Society, AMIA and SMPTE. His deep knowledge of and ties to the industry are a valuable asset to MTI Film's Restoration Services. As Supervising Colorist at MTI Film, Steve's credits are too lengthy to list having been a well-respected colorist at Encore Hollywood and RIOT Santa Monica since 1989. Steve has worked on a number of high-profile projects and received numerous industry accolades including those for Showtime's Weeds, which won the Emmy for Cinematography, and HBO's miniseries The Pacific, which was nominated for a Cinematography Emmy and was honored with the Hollywood Post Alliance Award for Outstanding Color Grading. Steve's guidance on color at MTI starts with his personal supervision and training of the dailies team, setting a high bar of artistry that is the envy of the industry. As Senior Colorist at MTI Film since 2015, Johnny brings a wealth of experience from his tenure at highly respected Encore Hollywood. Johnny has collaborated with top DPs to bring a unique look to all the shows he works on. His recent credits include CSI: Cyber and NY for CBS, Halle Berry's Extant, Hawaii Five-O, and the hit Shepard Robin series, Major Crimes. Described as completely affable by those he's worked with, MTI's clients have enjoyed his company as well as his talent! Senior Colorist Tanner Buschman has worked his way up the ladder of MTI Film's color team by working hard and proving himself over and over again. Demonstrating a true passion for what he does, Tanner has reached new heights of expertise by applying his talents to each project he works on. Tanner's color on The Affair, Major Crimes, The Story of God, Through the Wormhole, among other TV and feature projects, has provided the diversity of work needed to gain "chops on the box” as well as refining his eye. Often coloring on weekends on his own time, Tanner has demonstrated his commitment to be the best he can be, which has paid off with his latest work for The Affair. Mauricio has been a dailies colorist since 2006 working closely with DPs on numerous TV episodic shows. He has expressed his sheer delight in working on episodic work claiming, “I love the variety that TV work has on a daily basis. Switching from one show to the other during dailies is challenging, but it's what makes my clock tick, and if the DP is happy with what I do, it makes my day.” Mauricio continues to amaze with work on The Closer, Major Crimes, The Affair, and many MOWs and is an integral part of the MTI color team. Doing pre-color for Steve Porter and Johnny Kirkwood for 4 years has given Alex the necessary experience to learn from some of the best in the business. His own talent and eye for color has won him the confidence and support of all producers who have worked with him. His latest efforts on The Wedding Party (winner of the Louisiana Film Festival), Longmire, Valor, and various music videos, and commercials including spots for Alexander McQueen, Tyler Ellis, and Just Fab have given him the opportunity to prove he's ready to fly solo having just wrapped up Valor for CBS. Supervising Editor Garth O'Donnell has been editing for over 20 years with experience on virtually every editing platform invented. 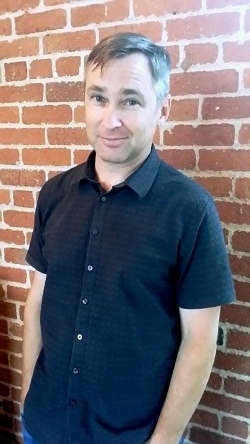 Garth's credits span many commercial spots, having been a Henry and Smoke artist at RIOT Santa Monica, and scores of TV episodic shows, working on everything from linear edit systems to Avid, Final Cut, and Smoke. Garth's experience and cool demeanor in the edit suite has earned him a considerable following and the nickname “The Iceman”. But don't let that name fool you, he's a warm, intelligent editor with a good sense of humor. Editor Kyle Gleisner began his tenure at MTI managing the tape vault. Thereafter he was trained as a technical assistant in the machine room and eventually worked his way up to a trusted editor position. As an Avid, Premier and Flame artist he has worked on episodic shows such as Outlander, Major Crimes, Outcast, Limitless and Breakthrough, as well as music videos and commercial projects. His willingness to jump into a project feet first has earned him a reputation as a versatile and discerning editor, while those who work with him take to his lighthearted character. Editor Andrew Miller, like many before him, began his tenure at MTI managing the tape vault. Thereafter he was trained as a technical assistant in the machine room and eventually worked his way up to a trusted editor position. As an Avid, Premiere, and Flame artist he has worked on episodic shows such as Outlander, Major Crimes, Outcast, Limitless and Breakthrough, as well as music videos and commercial projects. His willingness to jump into a project feet first has earned him a reputation as a versatile and discerning editor, while those who work with him take to his lighthearted character. Having been at the helm of MTI Film's Restoration Services department since its inception in 2006, and after spending 6 years as a Restoration Artist and Production Manager at Lowry Digital, Bridgid both supervised and contributed her hands-on talent as a seasoned Restoration Artist to MTI's many projects including Easy Rider, The Bridge on the River Kwai, Taxi Driver, Twelve O'clock High, Flight of the Phoenix, Lawrence of Arabia, and The Red Shoes. Proving that film restoration is indeed an art, Bridgid is responsible for training and supervising all of MTI's restoration artists. Passionate about the art, Bridgid's unwavering commitment to excellence has helped earn MTI Film the respect of the entire restoration community. Randy Reck serves as Director of Product Development for MTI Film overseeing software development for both CORTEX and DRS™Nova products. 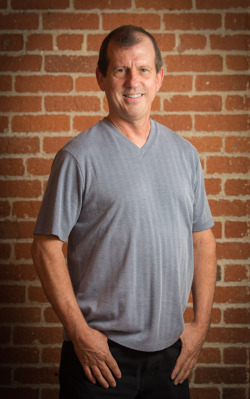 Randy joined the company in 2015 having been a development engineer at Encore Hollywood, Chief Engineer at RIOT Santa Monica, Chief Cinemascan Engineer at EFilm where he developed the Cinemascan system, and Product Manager for workflow systems at Panavision. He brings a wealth of knowledge about all aspects of imaging technology and dailies workflows, which makes him uniquely qualified to lead the effort for MTI Film's products. Peter Firth joined MTI Film in 2007 as a Software Engineer to work on the Convey transcoding application. He has been instrumental in the technical growth of MTI's transcoding capabilities, including major contributions to the CORTEX family of products since its introduction. Today he is Lead Software Engineer for Cortex, MTI Film's solution for dailies, IMFs, DCPs and beyond. Senior Engineer at MTI Film since 2008, Hans Lehmann is responsible for designing software for MTI Film's products, including high speed image processing, data management for the myriad variety of camera formats, and dealing with our ever changing landscape of technology. Hans has been deeply involved in both hardware and software design and engineering in the post production industry for over thirty years, at facilities including Encore Hollywood and Premier Video.